Musa super dwarf cavendish. By far one of the smallest bananas on the planet. 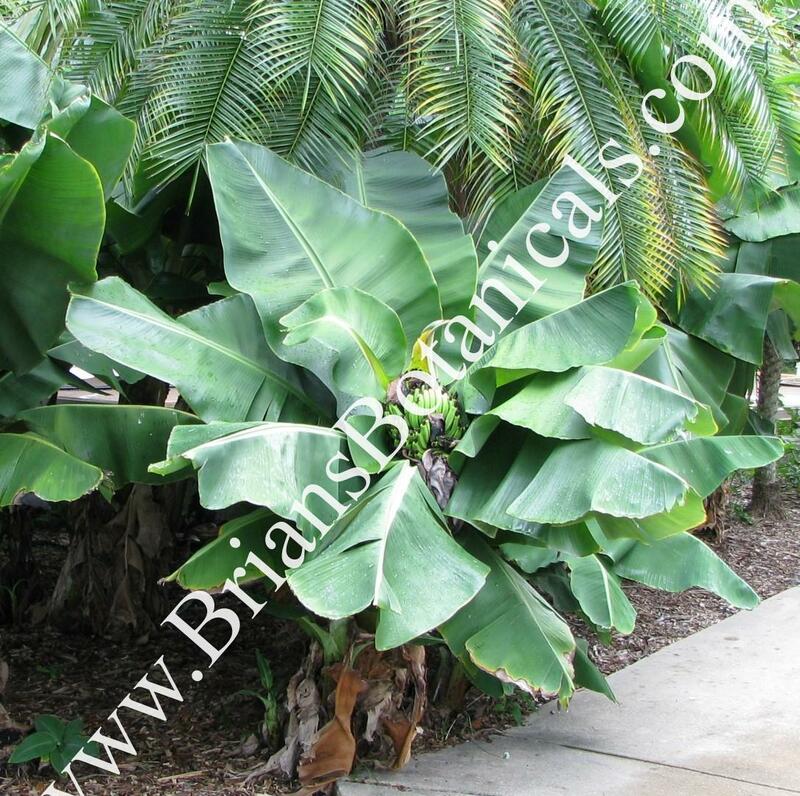 This little banana grows to 3 to 4 feet tall with a thick trunk and produces small eatable fruit. A great banana for containers and looks great in clusters in landscapes.